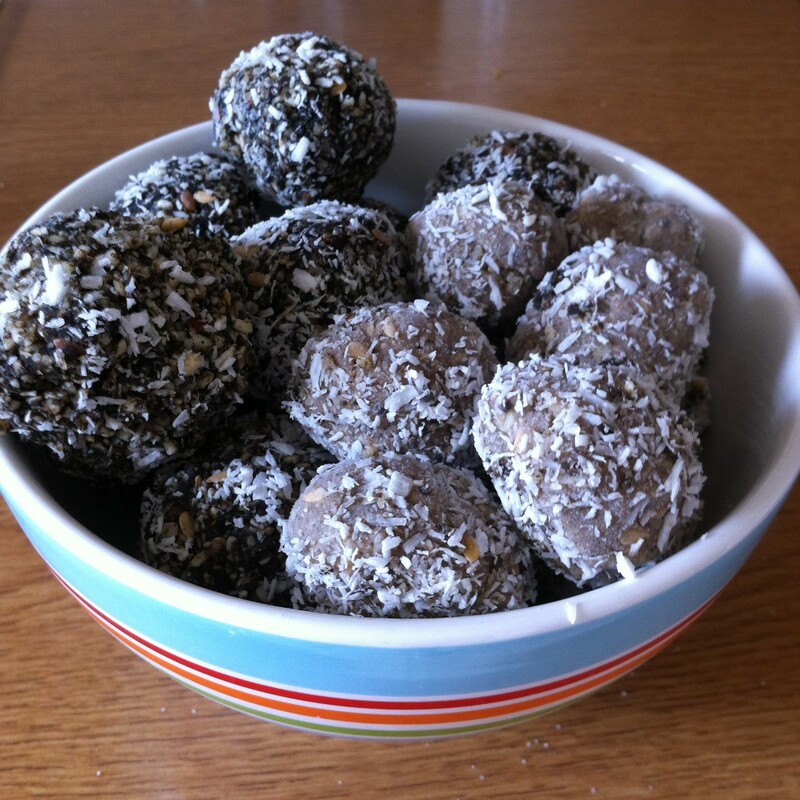 I always keep a batch of my Bliss Balls in the freezer for when I have a sweet craving. A delicious and nutritious snack, these beauties are sugar, dairy and wheat-free, and are packed with protein and good fats. Perfect for those three o’clock munchies, they are also a great energy booster: bonus! I’ve played a lot with my recipe over the years, but the one below is my staple. I sometimes add in 1 tbsp of almond butter, or 1 tbsp of maca powder, or even a couple of tbsps of juice pulp, just for fun. Simply blitz all dry ingredients together. Add wet ingredients and blitz until well mixed. Go to step 6. Thanks Helen, Will give those a try a bit later and report back. My need for an energy boost comes at 4. But then I get up later than you. No early sunrises for me.